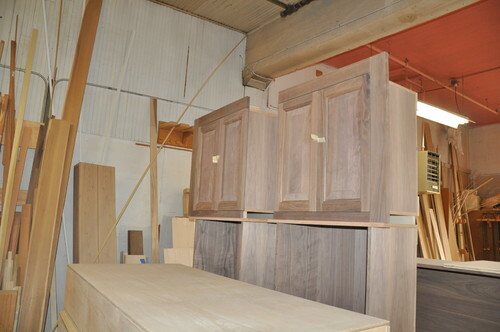 To get a better understanding of the way cabinets are made, I visited two manufacturers: Canyon Creek Cabinet Company in Monroe, Washington, which makes semicustom units, and O.B. Williams Company in Seattle, a 125-year-old woodworking shop that builds custom cabinets. When plywood is used, it’s typically ¾ inch thick and has a maple or birch veneer. Plywood is made from layers of wood laminated together, and has the benefit of being a fairly stable material that performs well over time and in areas with higher humidity and the chance of contact with water. 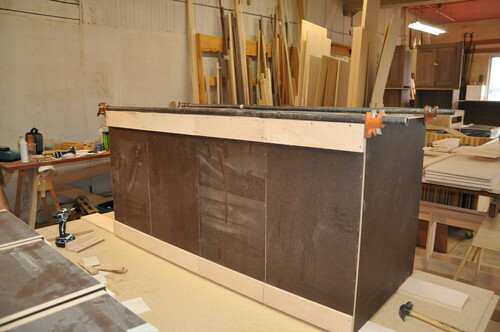 The panels can be glued, nailed or screwed together, and are usually installed (as is the case with most cabinets) by screwing them into the wall. 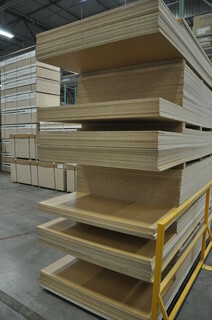 Plywood’s main downside is that it is relatively expensive. Particleboard’s draw is its low price. Made from pressed bits of wood bound together with adhesives, particleboard can be covered with a veneer of wood or melamine, or a paper veneer printed to look like wood. The interior can be white or a wood tone. Some cabinet manufacturers, like Canyon Creek, regularly have the particleboard they use tested for performance, so ask if there are different grades of material from which to select, and what you can expect in terms of durability. 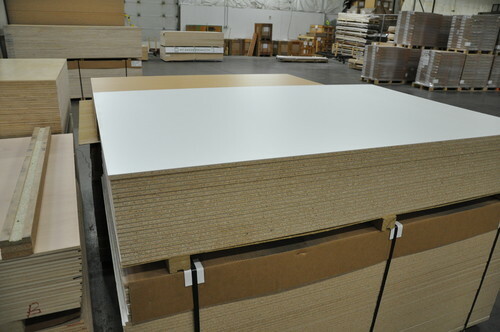 MDF is also less expensive than plywood; it has a more uniform surface than particleboard. MDF is often used for paint-grade panels, rather than thinly milled solid wood, because it’s such an easily paintable material. Manufacturers of semicustom and mass-market cabinets tend to have better/best or good/better/best options for their cabinet boxes, which may consist of one or a combination of all three materials. 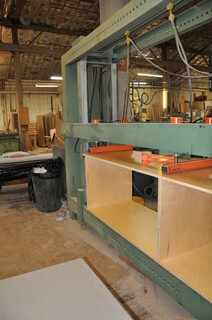 Custom shops tend to stick with plywood and MDF, or just plywood, for construction, because of its strength and performance. 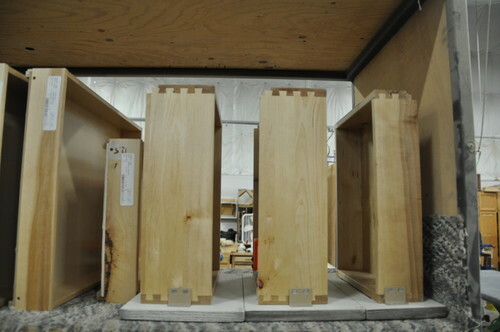 On boxes that will have European-style doors and drawers (where the doors and drawers completely cover the box — also known as full overlay), making sure the box is completely square is essential. 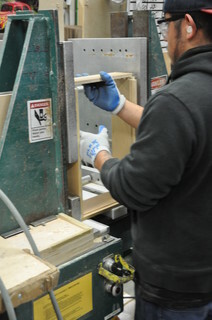 That can be accomplished with a clamping system, or in a custom shop by using individual clamps. This ensures that when the fasteners are installed, the box will be perfectly square. 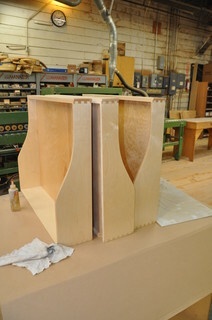 A step up in cost and longevity is dovetailconstruction: Small pieces on the ends are routed out to key into one another, making a connection that is very difficult to dislodge. 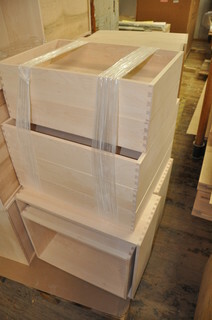 The sides of the drawers are usually made from ½ inch of material with a bottom panel that’s ¼ inch thick. This is another place construction can vary, with thinner or thicker materials all the way around. You can make a decision about drawers based on performance or aesthetics. Ask to see different drawer construction options so you know what you will see when you open them — on the tops and inside — and how they will look when they are extended. What you see has a lot to do with how the cabinets are edge banded. More on that in another installment in this series. Shelves can be installed fixed, or they can be adjustable, with pegs that fit into rows of holes on each side of the cabinet. While shelves are typically made from the same material or wood species as the rest of the cabinet box, an exception would be if the cabinet has a glass front or the shelves themselves are glass. When the interior of the cabinet is visible, making the shelves and box interior the same wood species as the face, or painting it the same color, is a common practice. 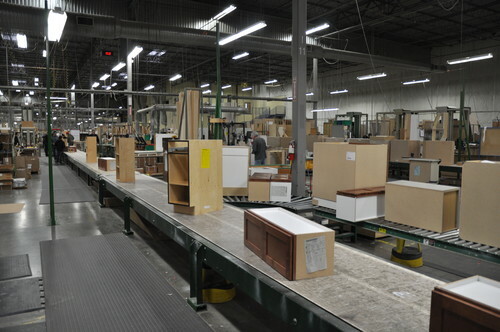 One more note on the drawers and boxes: Larger-production cabinetmakers tend to build their drawers and boxes at the same facility where all of the cabinets are assembled. Some smaller shops, including many custom cabinetmakers, send out their boxes and drawers to be built by a company that specializes in this. The box and drawer companies can build them relatively inexpensively, leaving the custom shop to focus on the parts of the cabinets that make them truly custom — the doors and drawer faces, and the millwork that finishes out the cabinets. One final thing to think about is how the materials are made — and particularly whether they include urea-added formaldehyde, a substance known to have an impact on human health. Many manufacturers have removed urea-added formaldehyde from their manufacturing process, making the cabinets NAUF (no added urea formaldehyde) compliant. However, there is still the possibility of the material’s containing other volatile organic compounds (VOCs) that will off-gas over time. And formaldehyde is a naturally occurring compound, so there may still be traces of it. California has been a national leader in air-quality initiatives, so you may see a mention of the materials in your cabinet being CARB Phase 2 compliant. CARB is the California Air Resources Board, which has created requirements to limit VOCs in cabinets, furniture and other materials used in homes. The requirements focus specifically on plywood, particleboard and MDF. The U.S. Environmental Protection Agency is working on nationwide requirements based on CARB’s standards that may go into effect as early as 2014. 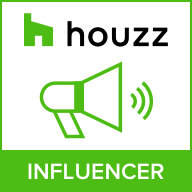 There are a number of claims made and opinions offered about the relative “greenness” of plywood and particleboard, and not all are manufactured in the same way. If this is an important consideration for you, you might need to do some extended research. It also means you’ll need to ask detailed questions when pricing different cabinets, to understand how they are made and with which materials. Bottom line: Cabinet prices are wide ranging and directly correlate to materials and construction methods. 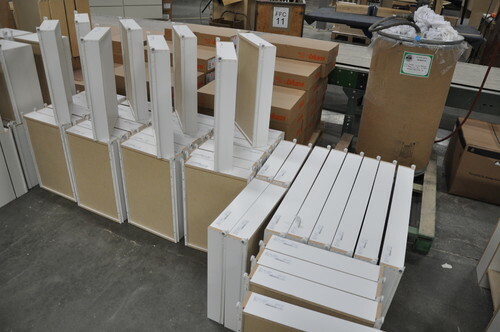 Expect a basic unit to include particleboard, melamine and stapled drawers, and everything else to be an upcharge.